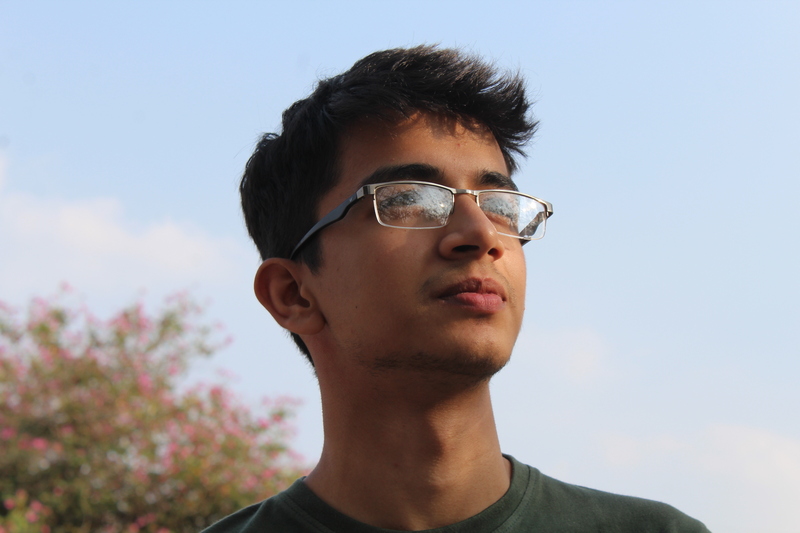 Rohil Deshpande is a first (now, third) year student of NALSAR University of Law, Hyderabad. As someone who pretty much slacked off in the two-year classroom program I was enrolled in, I can personally attest to the fact that it is never too late to start your prep. In this essay, I’m going to attempt answering only one question – there’s three months left for CLAT, so how can you best spend it? Admittedly, I started preparing slightly earlier, but I have no doubts that anyone who works just a little harder or finds a little more productive time will have trouble making it. With that said, here are a few things that I learnt during my preparation; hopefully, you find something of use to you as well. First, CLAT preparation is reliant on repeated contact. What that means is this – you cannot read up all you want on Legal Knowledge today, and then claim that you’re done with the section and never touch it again. The best way to learn stuff for CLAT, whatever it may be, is to read, re-read and then read some more, over a long timeframe. Pick up all your books often. Second, as everyone tells you, mocks are invaluable in your preparation. One of the best pieces of advice I received was “if you take 60 mocks before CLAT, then CLAT is basically just your 61st mock.” All the theory you learn from books is ultimately dependant on how that translates into your mock results, and that doesn’t even take away from all the stuff you do learn from mocks. Don’t let one mock ever take you down or up – there will be mocks where you score 160; there will also be mocks where you score 90. The point is always assessing your improvement. Additionally, think about how you are going to attempt the mock as well. Your own experience will teach you what works best for you in terms of order of sections and time distribution. What worked best for me was – finish legal and logical reasoning in the first hour, do GK in the next 10 minutes, then English and Math for 20 minutes each and keep a 10-minute buffer, to be used wherever required. (In case you’re curious, what worked worst for me was going from Question 1 to 200 in order.) Have a strategy in mind while you write your paper, and stick to it – don’t just try floating and keeping your head above the water. The final month of April, I feel, should ideally be devoted primarily to attempting mocks and previous question papers – I did 3 mocks every day. Work hard and enjoy the grind, and most importantly, enjoy your improvement. Third, don’t fear your apparent lack of capacity to study – early on, I met people who told me they studied for 8-10 hours every day for CLAT, which completely threw me off, because I could never see myself putting in that much effort. Don’t let that overwhelm you. Slowly, once you get into the groove, you’ll see for yourself the increasing amount of time you can sit down and study. CLAT preparation is indeed a journey, as so many will tell you, and you will get better at it the further along you go. Fourth, whenever you find something interesting, take notes! This can be general knowledge, legal knowledge, or anything. Note down whatever strikes you, and most importantly – read them. I’ve seen a lot of my friends make comprehensive notes on subjects, but not reading them; don’t make that mistake. Notes are important, especially for something like GK, so make sure you go over your notes often. That’s it. Have fun preparing, and I hope to see a few of you at law school! Thanks a lot….it was really helpful. Thank u soooooo much Sir!!! rohil just want to ask you one thing,can i still make it to nls?iv only done word power till now and have procrastinated all this time ,im a dropper and am almost done and dusted with my coachings so i have pretty much the entire day all to myself,just need a yes or a no,(im an avg student no bigshot,was never big into reading novels and editorials at all,actually never have i ever touched anything of this sort),do you still think i acn make it? Thank You! These posts are motivating. See I attempt all the questions in the first 90 minutes very aptly bit after that my reading and comprehension speed dips and I feel it very difficult to read and I’m bored by then,kindly suggest some ways to overcome this situation. Hi Rohil. could u pls mention when did u start taking 3 mocks a day……march? april? and how do we analyse all of those 3 mocks in a day ? actually am really confuse about clat ,now i am in class 12th and dont no how to start my preparation so can you plz help me out ..
I’m starting from Zero. How can I start and how do I pick up from here? A little advice on how to go about it?